Aiseesoft Mod Video Converter 7.2.16 Free Download - Convert Mod and other popular video/audio files to any video and audio format. You can adjust video Brightness, Contrast, Saturation, Hue and Volume, and convert the interlaced video to a progressive one with the &quot;Deinterlacing&quot; function. This software also allows you to crop playing area and select the zoom mode. By setting the &quot;Start Time&quot; and &quot;End Time&quot; or just dragging the slide bar, you can trim the video from the source file. Merging several video clips together also can be achieved by this software. You are able to add any picture or text file as a watermark to your video. Statement: First, please download the orginal installation package by clicking the download link. Of course you may also download it from the publisher's website. Using Aiseesoft Mod Video Converter crack, key, patch, serial number, registration code, keygen is illegal. The download file hosted at publisher website. We do not provide any download link points to Rapidshare, Hotfile, Depositfiles, Mediafire, Filefactory, etc. or obtained from file sharing programs such as Limewire, Kazaa, Imesh, Ares, BearShare, BitTorrent, WinMX etc. Software piracy is theft. 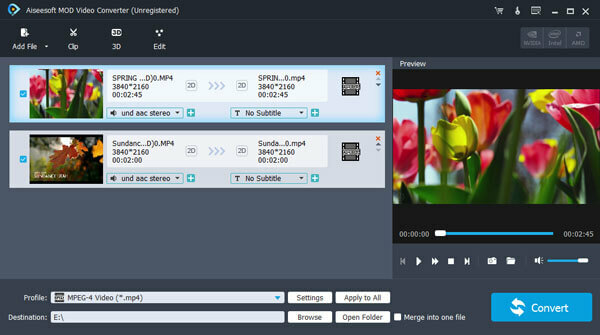 If you like Aiseesoft Mod Video Converter please buy it.